I'm on the A Jillian Vance Design Blog this morning with this card! Pop over for more details! 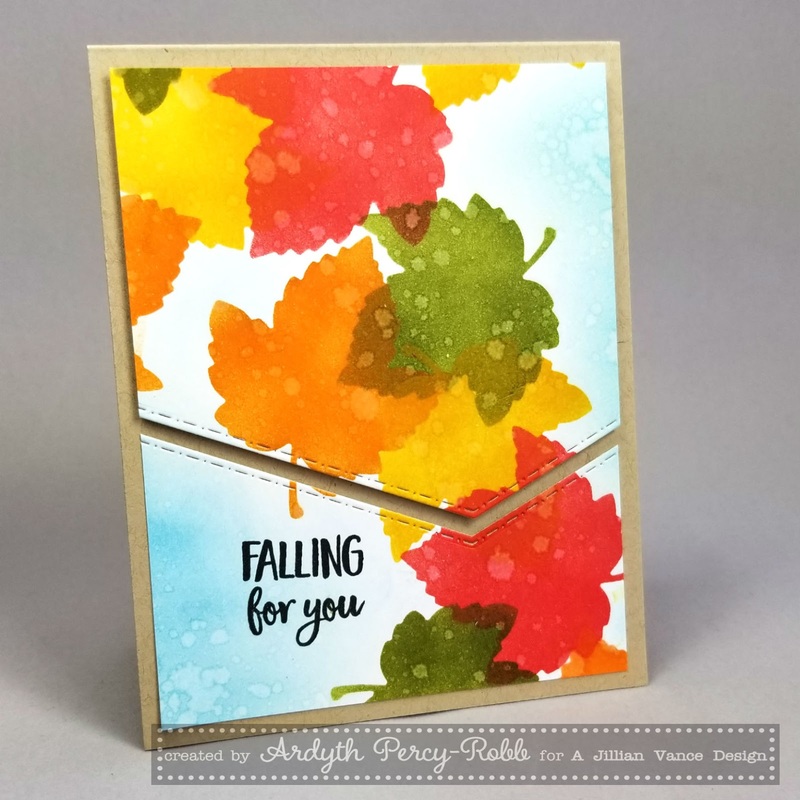 Such a gorgeous autumn card and your masking is awesome. Something I tend to shy away from. Left you some love over at AJVD! Wow, these translucent looking leaves are fabulous Ardyth. Loving this card even thought I am not ready for summer to end. Love those gorgeous rich colors! Gorgeous leaves & great design! Oh Wow! I LOVE this card. The leaves are so beautiful.